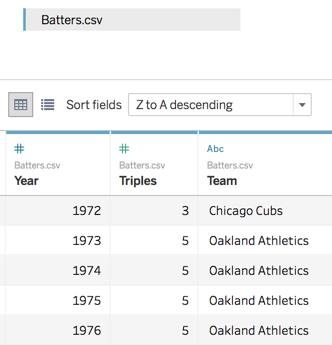 Over the past few releases, we’ve invested heavily in data prep, making it easier to connect Tableau to your data and get to your analysis faster. With Tableau 10.2, we’re enhancing some of our existing functionality. We’re extending features like union to work with more connectors. We’re also improving our date recognition capabilities. 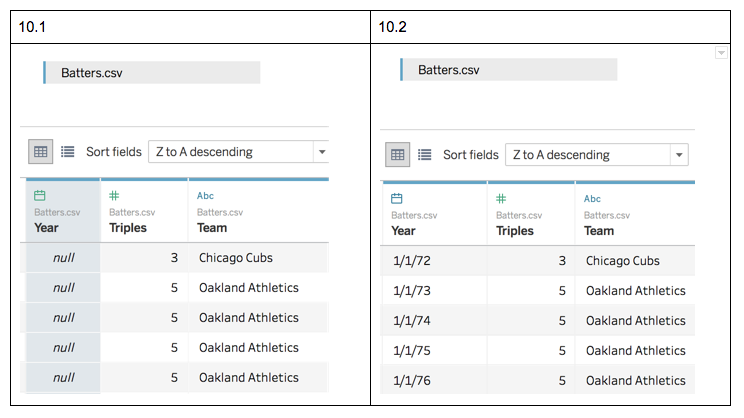 Tableau 10.2 includes database union to help you leverage your database structure more efficiently. Many database admins split up data by region, date, or channel for both business and performance reasons. To piece that data back together, analysts had to write unions in custom SQL or ask admins to build custom views. 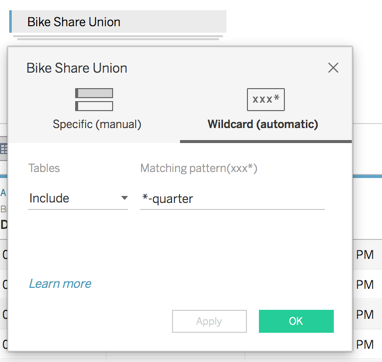 With Tableau 10.2, you can now create those unions with just a drag and drop for several new connectors! This functionality isn’t available for all databases yet, but we’re adding new connectors in order of popularity. If you’re dying for your connector to be supported next, let us know in the comments and community forums! In Tableau 10.2, transforming data from a string to a date type is easy with Automatic DateParse. Just change the data type and Tableau will do all the heavy-lifting, no calculations required. In earlier versions of Tableau, changing “Year” to become a date would yield all nulls, but in Tableau 10.2, you get actual dates! And while simple cases now behave more intuitively, Tableau can handle a much wider variety of dates as well. When we analyzed Tableau public we found over 250 unique date formats! Here are Tableau’s new recognized dates! There are a couple of caveats to note about our new capabilities. The first is that, under the hood, Tableau is now using a DATEPARSE calculation instead of a DATE or DATETIME cast. While the DATEPARSE calculation is not new, in Tableau 10.2 is generating these complicated calculations automatically behind the scenes. You’ll also be pleased to note that this works on calculated fields as well! 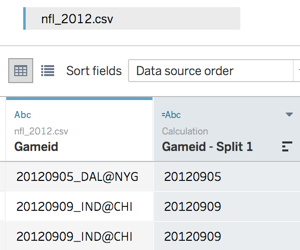 In an NFL data set, I’ve got the date encoded in the game ID, so I SPLIT it out into a separate column. With database union, we’re adding prep functionality to new connectors, making it easier for database users to get to their analysis faster when data is partitioned into multiple tables. With our smarter date recognition, Tableau is now able to recognize hundreds of new date formats, reducing the need to write complicated date calculations. These features help expedite your data prep and cleaning, enabling you to spend more time in analysis. Check out our beta program to learn more and sign up. The beta program is available for existing Tableau customers. Customers with an active maintenance license can upgrade for free when Tableau 10.1 is released. And visit our Coming Soon page to learn about all the features we're planning for Tableau 10.2.